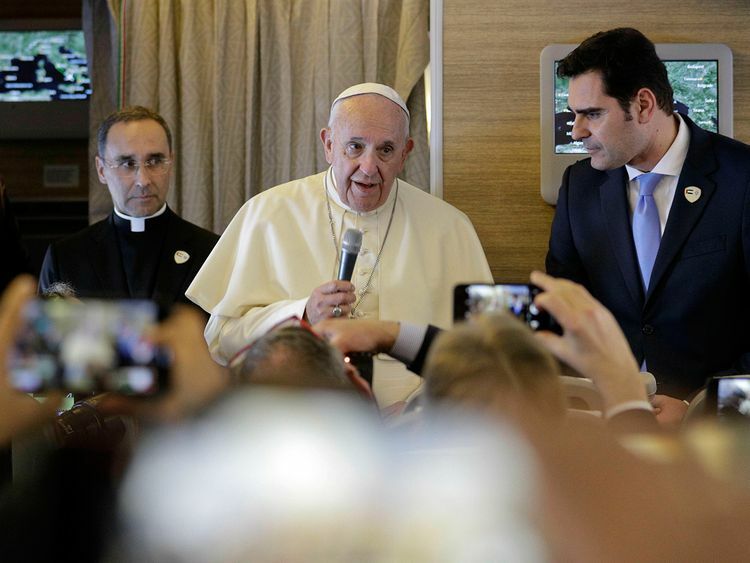 Abu Dhabi: During the Papal flight to Abu Dhabi from Rome on Sunday, Pope Francis presented to members of the accompanying media copies of an icon made at the Monastery of Bose in Italy, carrying a message for young people. “It’s on the theme of dialogue between the old and the young,” the Pope told the journalists. “I care deeply about this topic, and I think it’s a challenge”.